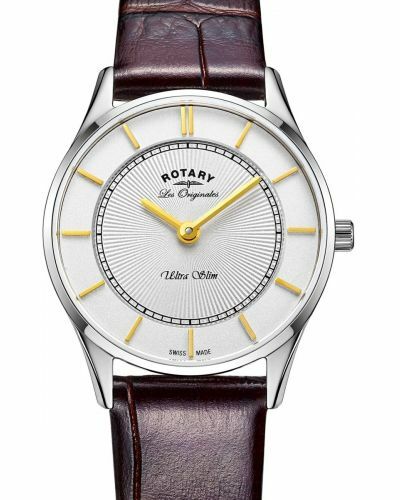 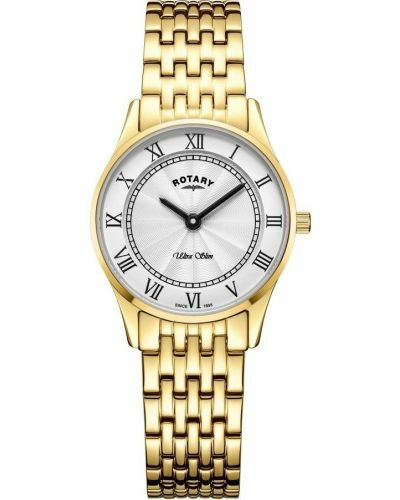 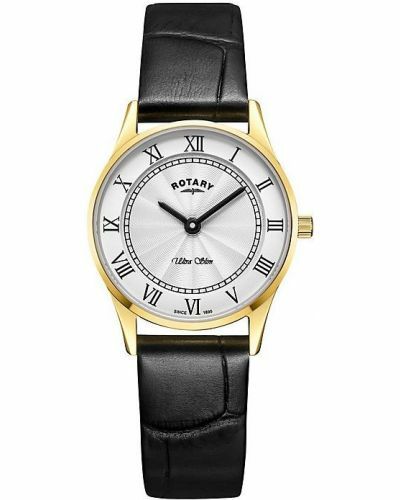 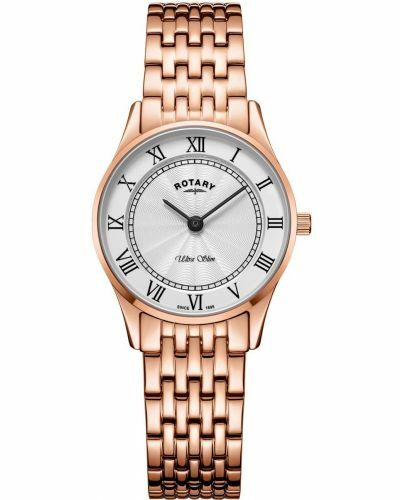 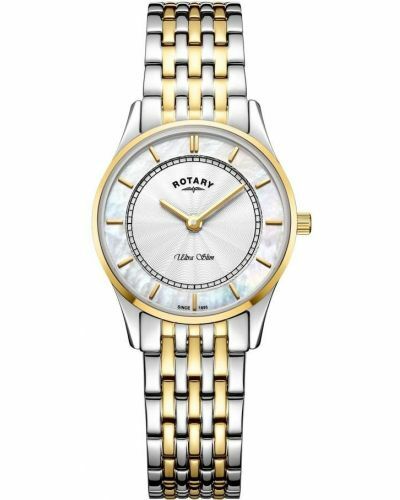 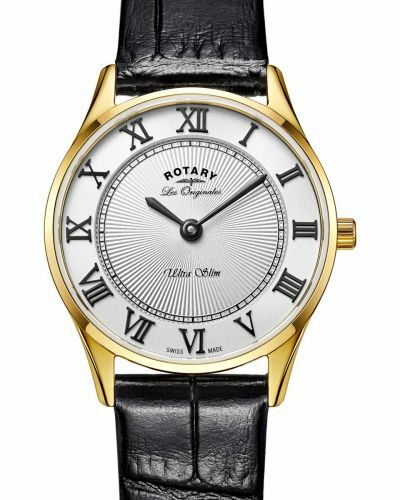 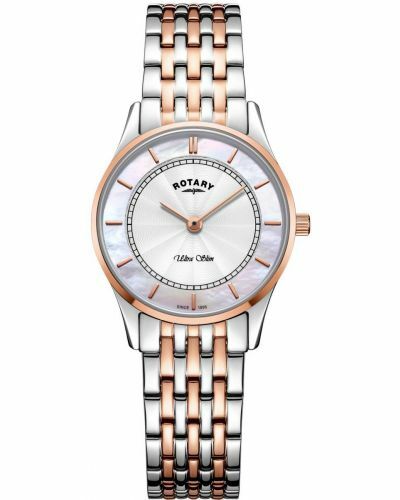 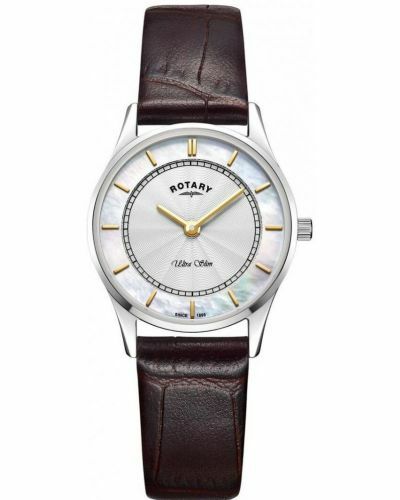 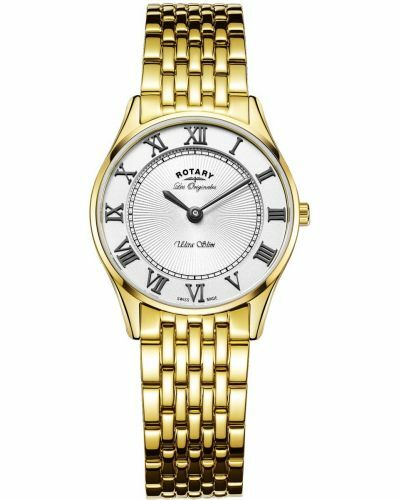 Brought to you by renowned Swiss watchmakers Rotary as part of their women’s Ultra Slim collection; true to its name this stunning watch features a 5.7mm ultra slim stainless steel case and a 27mm polished stainless steel bezel. 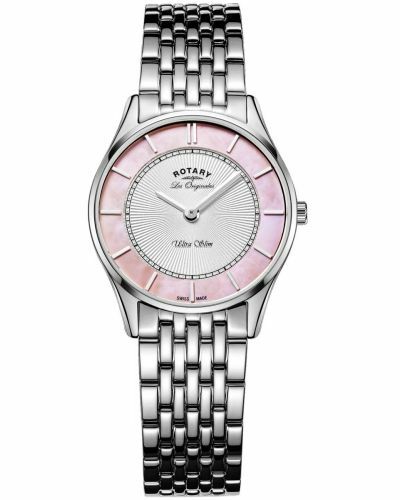 This beautiful watch has a pink Mother of Pearl outer dial with a serrated silver inner dial and is complimented by the silver faceted batons and delicate silver hour markers. 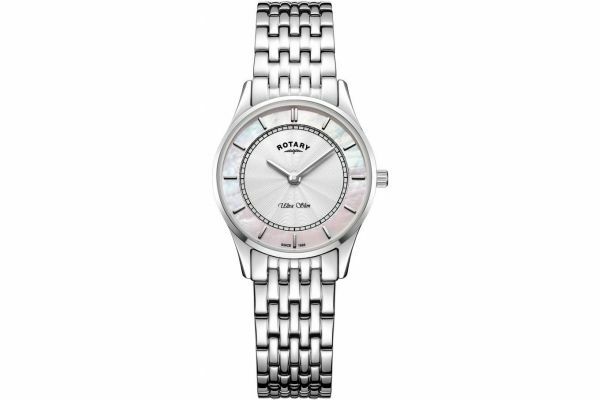 Set upon a striking polished stainless steel link bracelet and fastened with a fold over push deployment closure this elegant watch is both practical and alluring. 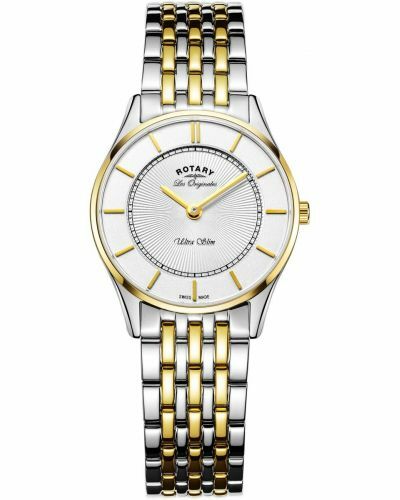 Powered by Swiss made Quartz movement and protected by scratch resistant Sapphire glass this Ultra Slim watch is water resistant up to 30 meters.